‘Bodgers’ were skilled itinerant wood-turners, who worked in the beech woods on the chalk hills of the Chilterns. They cut and worked timber into roughly cylindrical blanks using hand tools; and then processed these blanks into chair legs, stretchers and rails by turning them on a pole-lathe. These components were then sold on for assembly in the furniture centre of High Wycombe; established there because of the proximity of the beech woods. The pole-lathe is an ancient and very simple type of lathe which often used the spring of a bent sapling to return a cord (or leather strap) wrapped around the blank and operated by means of a treadle. 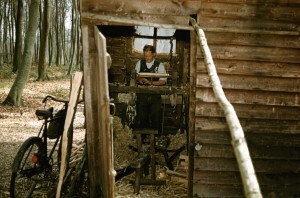 Unlike a modern powered lathe, the pole-lathe produces a reciprocating action and cutting is carried out only on the down stroke of the treadle. This type of lathe was so easy to move and set up that it was easier to go to the timber and work in situ than to transport it to a workshop. 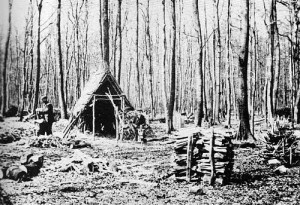 The bodger would set up a simple shelter in the woods to provide some protection from the elements. The term ‘bodge‘ later became associated with shoddy workmanship or inferior quality. However, the chair bodgers certainly did not fit this description. They were highly skilled and industrious craftsmen, who hold a unique place in the history of wood turning in the UK. With the progress of mechanisation, pole-lathe turning almost died out completely. However, there has been a resurgence of interest in pole-lathe turning and the attendant skills and craftsmanship involved. 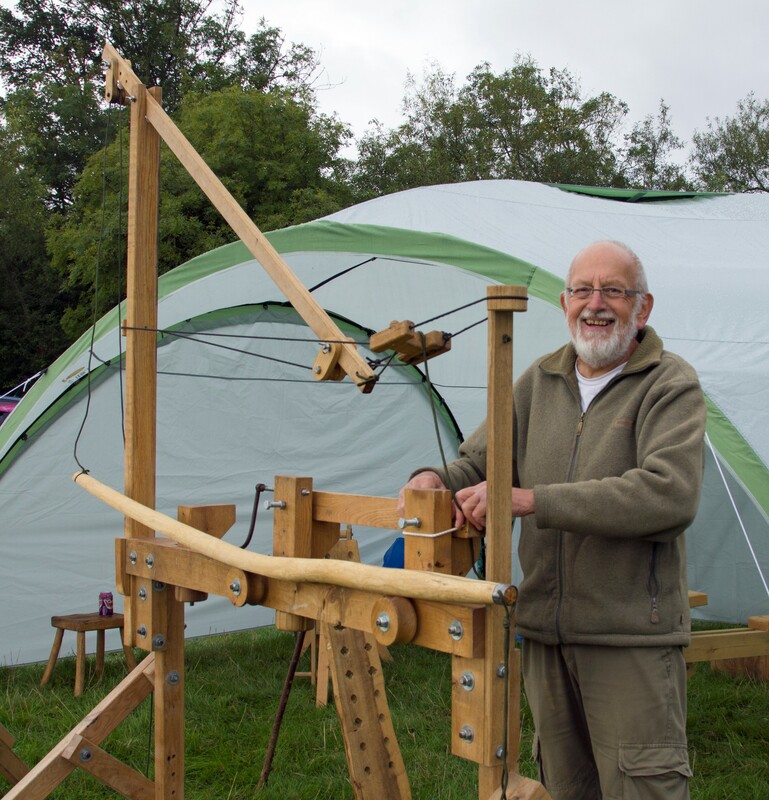 BodgerJohn is one of over 1,000 members of the Association of Pole-lathe Turners and Greenwood Workers in the UK and overseas who continue to keep these historic crafts alive; by practicing and demonstrating pole-lathe turning and other rustic skills, running workshops, and introducing others to the pleasure and satisfaction to be derived from working with greenwood. BodgerJohn is based at Redbridge Farm near Poole in Dorset.